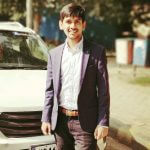 Since its inception, manufacturing industry is facing the very same challenges – clumsy and messed paperwork, lots and lots of data entry, filing for spare quality assurance initiatives with managing the finances and resource allocation. And, yes of-course being a CFO of a company, you don’t get the real-time information and analytics of the company’s finances, thus causing a huge data delay for the financial models and appraisals. 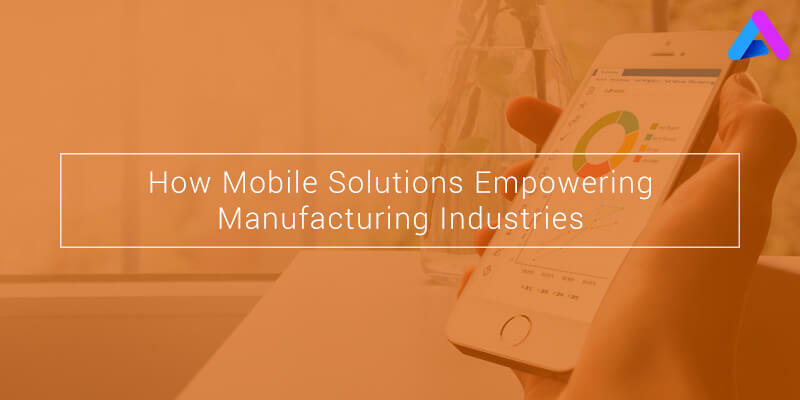 If your manufacturing business requires on-time delivery of your products, proper resource allocation and well-versed finance reports etc., go ahead with these mobile solutions and enhance your engagement and service model. Today consumers expect exceptional responsiveness and managed information. However, many manufacturing industries have adept field service technicians, who are proficiently providing treasured touch points of their organization, but undoubtedly, mobile can help them get the customized and tailored information about everything right from the resource allocation, support and maintenance to providing a responsive response to consumer’s request. Let’s take an example – Say, if you have a mobile solution for your field service technicians that provide all the information related from the daily dispatch list to incorporated GPS to proper routing to their mobile device. Being a manger of your product delivery, you can get the exact details of your product from loading to dispatch to delivery. And, you can easily share this information with your clients and keep them updated. This will not only help you in managing your product status but also help you in keeping check with the resources that are allocated and, keeping your client happy, as he will get the frequent updates. And, it will also help you in finding the lag in the late delivery of a product or miscommunication. Apart from management and resource allocation, you can also send customized notifications to your existing clients about the related deals and offers and improve client retention rate. A well-versed mobile solution will also empower your sales team with shorten sales cycle. Like other verticals’ consumers, manufacturing consumers have also become active and are doing more and more research on your products before taking it. According to some estimates – consumers complete their 90% research process, before initiating a call with a sales associate. Thus they know each and every thing about the product and ask very specific questions and at the same time, expecting tailored solutions. By providing the full set of powerful sales tools on smartphones will make your conversations more effective and will help you I finding the potential consumers, thus more productive solutions and new clients. By leveraging mobile-first approach, mangers can enhance their workflows and production processes, thus reducing lags. Be it WIP inventory, working hours of labour and ratio of downtime to operating time for resources can all be reduced, if you could advance the visibility into your processes and the capability to instantly communicate. With an integrated mobile solution, managers can get a more transparency into inventory levels thus enabling vendor-managed inventory processes. As the products move through the process, acquiescence reporting requires substantial labour hours that can be calculated on paperwork for structured and prominent industries. The proper RFID scanning and its integration with a mobile solution can not only help in providing the end-to-end traceability of every part, if required, but can also provide the right and tailored solution that will also empower the employees, who are responsible for managing agreements that usually are chained to their desks rather than submitting it. Another major requirement is to make regulations so that parts can be inspected and maintained at regular intervals. By connecting MES data from your machines, push notifications can be sent immediately to alert the right employees, which will in turn reduce the downtime of operating machine and assets. Once you have identified your objectives through mobility – what’s the best possible ways to measure the ROI and track progress KPIs? Mobile solution will enable Managers and directors to chain themselves without using a desk and will let them gain a clear picture of how the product is operating. By leveraging the mobile solutions, you can get the complete access of data visualization and dashboard, which will help you get a quick snapshot of the key metrics.